The Stihl FS56 RCE is one of the new generation, light-weight petrol brushcutter with straight shaft, loop handle and ErgoStart. Modern appearance, convenient operation and very simple starting procedure are the highlights of the new generation STIHL grass trimmer range. 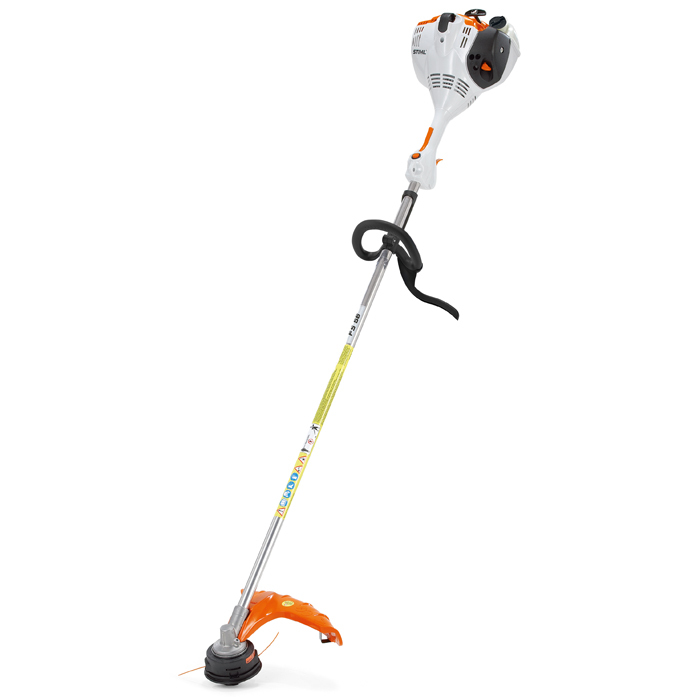 The number of steps needed to start the Stihl FS56 RCE has been drastically reduced. The frustration of a flooded engine is virtually eliminated. New 2-stroke engine with stratified charge allows fast acceleration, low emissions, reduced fuel consumption.Comes standard with fully adjustable loop handle and AutoCut mowing head. Loop handle (R) - The loop handled grass trimmers and brushcutters are ideal for working in areas where space is limited, e.g. thinning between bushes and shrubs.